Word on the street is that Shoeless Joe's on King St. near Dufferin is showing the fight. If you're not already watching this on pay-per-view, come join us and maybe all the Titos from Parkdale. 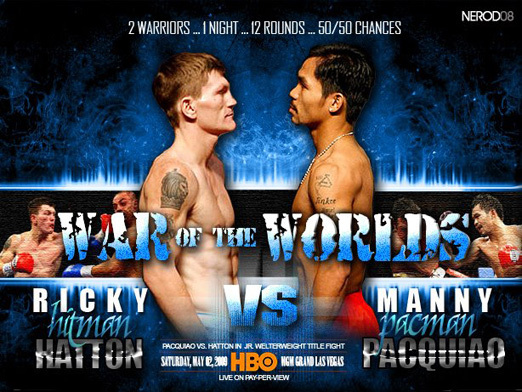 If you weren't planning on watching Pacquiao vs. Hatton, maybe THIS will change your mind.